In a previous post I wrote about setting my home game in the Forgotten Realms around the time period of the 2nd edition version of D&D, which would put us in Faerun in 1368DR. For those of you keeping track at home, the original boxed set of the Forgotten Reams placed the timeline at 1357DR, the second edition, which is the one I’m using, advanced the timeline a decade, and the third edition takes place in 1372DR. The fourth edition version of the Realms moves the timeline up to 1479, and the 5th edition of the Realms begins in 1489. The reason I chose to play in the 2nd Edition version is because I own a lot of material for it, there are tons of materials for it online, and for me it is a good on-ramp, since I have a lot of access to what’s been written for it. See, while I own a lot of stuff, it mostly went unused. I’ve never had an encyclopedic knowledge of the Realms, mostly general knowledge stuff (Elminster is a Gandalf type, Drizzt is a good drow). Reading D&D fiction ain’t my bag, so most of what I know has been from reading some rpg stuff here or there. I’ve never ran nor played a Realms campaign until now. I figured that 5e is trying real hard to be a throwback, and the Realms are the implied setting… why not? Plus, again, I’ve amassed a lot of 2e stuff through the years. So, playing in the Realms requires some decision making, primarily, where in the Realms do you want to play? I wasn’t going to wrack my brain thinking about it. My boxed set brings a book dedicated entirely to one location, Shadowdale, so that’s where we’ll start. If it’s good enough to devote a book to, it’s good enough for my game. Shadowdale as a starting locale is in fact recommended by the designers for players adventuring in the Realms for the first time. It’s a small town where the players can make a name for themselves (even if some major NPCs live there), there are some good low level adventuring areas, and the sorroundings are fairly typical fantasy stuff. The Dalelands are pretty much a fantasy version of rural England anyway. So, I have a starting location. I digested the fluff in the boxed set, along with some other material I have (Richard Baker’s The Dalelands is a good source of information, along with Volo’s Guide to the Dalelands). There are also some really good web sites with information available. The Realms wiki is a great resource, for example, and there are others out there with more than enough material to help you out. The Shadowdale book includes an adventure aimed at beginning PCs, which makes my job as a DM easier. I still had to jump through some hoops to get the party together and ready to go on a quest together, something the adventure doesn’t really do, but that’s fine. One thing I did was find a reason to get rid of the über-NPCs. The Realms has always faced criticism for being the land of the super NPCs that overshadow the players. Guys like Elminster and Drizzt are so powerful, that why would the world need the PCs? Well, I got rid of Elminster. Right at the first session. I gave him a reason to disappear which directly tied into one of the players, and off he went. He won’t come back either, he’s off on a mission for the duration of the campaign that directly ties into the story. His reason for not being around is important and matters. It isn’t arbitrary. So in Shadowdale, one of the the über-NPCs is now gone. Once the characters were brought into the story and everyone had a reason to hit the adventure, off we went. Of course, I had to make adjustments and conversions. 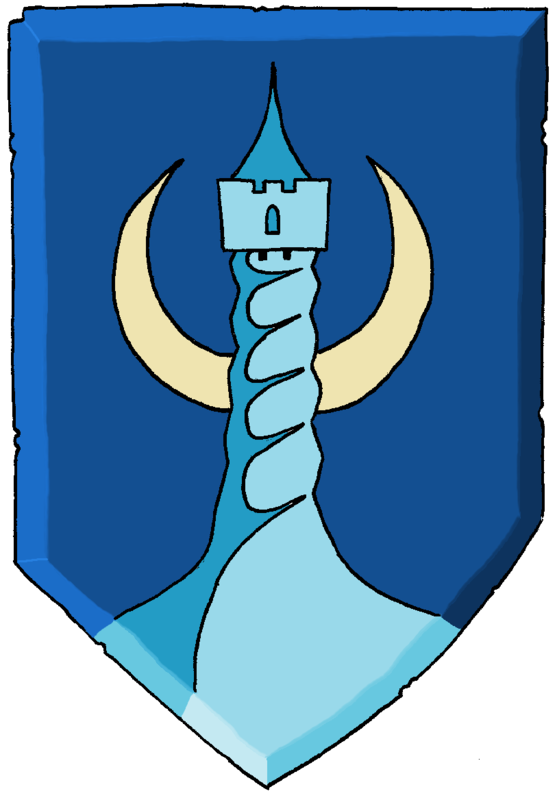 The crest of Shadowdale, the Twisted Tower of Ashaba. The adventure included is called “Beneath the Twisted Tower”, and it is a dungeon crawl set under the tower that houses Shadowdale’s ruler. It’s a pretty straight forward crawl, good enough to take the 5e rules for a spin, but it requires some adjustments. The first thing I did was go through the list of enemies the players could or would face off against in the module, and made a list. Why? I needed to see if there were any 5e stats available for them, or something relatively close I could just reskin. Right at the beginning, I ran into trouble. The first monster the PCs could possibly face is called a Gambado, a creature with no 5e stats. That meant I had to create. The Gambado, if you remember, is a pretty strange creature. It basically appears as a skull on the ground, and when approached it jumps out of a pit like a spring to fully reveal itself. Since 5e has no Gambado, I made one up, giving it my best shot at creating a 5e monster without any guides available yet. I think it came out okay. Then I made my way further down the list: Quaggoths, huge spiders, Moray Rat, Boogins, Mud-Man, Aballin, etc. They all had equivalents, or near equivalents I could use. For example, a Mud-Man is nowhere to be found in the Monster Manual, but a Mud Mephit, which is in the 5e MM, could serve the same purpose and have similar powers. The Aballin, described in the module as “living water” became a water elemental with some of its numbers dialed down (it’s a CR 5 monster, too strong for a 1st level party). There’s another encounter that calls for 30 rats, which can be handled with the Rat Swarm MM entry, so in general, it’s pretty easy to convert this adventure. Once they are underground, the module calls for the PCs to cross a “20 foot long, single span, unrailed, stone bridge… wet with water”. The adventure calls for Dexterity checks to see if they slip as they cross. It also offers other alternatives, such as long jumping over the 12 foot wide chasm or climbing the chasm walls up and down to avoid the bridge altogether. This created some issues for me, so I had to make adjustments. In 5e, players can easily jump the 12 foot chasm without even having to roll, but I wanted this to be a challenge. So I extended both the chasm and the bridge, leading them to choosing to cross the bridge. My 5e adjustment of this challenge was to use the Advantage/Disadvantage rules. I had them make Dexterity checks like the module called for, but they got clever and decided to use a rope as support. Bam! Advantage on the Dexterity checks. So easy. And it was a challenging encounter for them that forced them to rely on their wits. I want to touch on two things I was asked about when I mentioned on twitter I was doing this. One was about converting NPCs, and the other was how to run this if you have no Realms knowledge whatsoever. As far as the NPCs are concerned, I’m not too concerned about converting any of them to 5e. First, and most important, is asking myself if I’ll really need those stats. Only of the PCs choose to fight an NPC will I ever need that stat block. And if it comes to that, well, I have premade solutions. Lets look at the guards in the tower, for example. The Men-at-Arms are (remember these are 2e stats) 2nd level fighters wearing chain mail and using swords. The “Guard” entry in the 5e Monster Manual is good enough for me. He’s a 1/8 CR enemy I can throw waves of at the PCs if they foolishly decide to attack the Men-at-Arms. The lord of Shadowdale? If they decide to attack him I’ll use the “Knight” entry in the Monster Manual, as the Lord is described as a former knight in the book. Easy. And as far as Realms knowledge? Listen, all you need to know is where your party is when you begin. Starting in Shadowdale? Read up on Shadowdale and the general area. You don’t need to know the rest of the world’s history or current political climate. Who cares? My party is here on a dungeon crawl under the town’s tower. They are starting here and I gave them enough info to care about this particular place. I gave them a region to create backstories from, linking them to the wiki in the process. That’s it. I’m no Realms expert. You don’t have to be either. Once our adventures take us elsewhere, I’ll read about elsewhere. Right now it’s Shadowdale and the surroundings, and that’s what I’ll care about. As my campaign progresses I’ll write about what challenges I faced, and tips I can share along the way. For now, here’s a tip I found useful: Every single monster I expected the party to fight, I wrote down on a note card (index card), including its full stats and attacks. That way I didn’t have to flip through the Monster Manual, and I can build a monster rolodex as time goes on. I generally find that the amount of actual important canon is very low. It can seem like there are a lot of touch points on some geographical area, but in reality very little of it impacts a PC. For example, when writing the Candlekeep adventure there was a video game, three novels, and 3-6 sourcebooks. Looking exhaustively across that, the video game had the only map and it made no sense. None of the novels had any useful information. Two of the sourcebooks had about two useful paragraphs. One of the sourcebooks had more, about five paragraphs describing different locations inside. But, overall, there really wasn’t that much that a DM who cares about canon could mess up. I’ve found the same thing with other projects. I’ve been running my ongoing campaign in the 2E Forgotten Realms since the beginning of 4E, and for the same reason: I have a ton of 2E stuff that I can mine for ideas. Also, I disliked what they did to the Realms in the 4E timeline. I find that 5E converts even more easily than 4E as it is designed with similar principals in mind. A good second adventure you may consider is the Doom of Daggerdale or the Sword of the Dales trilogy of adventures. Both are set in the dale neighboring Shadowdale to the north. @greywolf – Thank you sir. @alphastream – Yeah, I’m not sweating canon too much. Like I wrote… give me some details on the area we’re in, and that’s good enough. If the players want to dig deeper, I’ll go along, otherwise I’m not going to drown anyone in lore or info. @afet – I have the Sword of the Dales on my radar next. Thanks. I think this a very elegant and simple solution. I have been facing the fact that the players that I am trying to introduce to the find Pathfinder to complicated. Which it is for beginer players. So now I have a Dragonlance bug. This post was very inspiring! Good article, I enjoyed the read. I actually did this with my group when I started my newest campaign back in January. I didn’t use a converted module but we just used the playtest rules and some backdrop articles from Dragon to flesh out the Old Skull Inn, where they accessed the dungeons beneath the twisted tower from the Inns basement. I just found it ironic that it was their first adventure in the campaign and this was basically the same thing you did. The best part was when they finally reached Lady Ulphor to try and see why she had closed herself into the tower to discover she hadn’t been shutting everyone out, but had kept herself in for everyone else’s safety as she had become a werewolf. No one had silver. On a similar note, this is essentially what WotC did with the excellent Neverwinter Campaign Setting. You could forget the rest of the Realms canon – best of all, you could completely ignore any of Salvatore’s novel – and just run it out of the book, using the FR Wikia and other sources to add colour and ideas when you ran out of your own. BTW, if you’re continuing in Shadowdale, I recommend the 3.5E adventure, Shadowdale: The Scouring of the Dale, for a few more interesting locations plus a great pair of maps of the dale (also available online). Thanks for thoughts on converting good old-school stuff to good modern old-school stuff. I’m inspired! Come the evening, I’ll dive down into some cardboard boxes in the basement and see what old campaign settings may be recycled! Excellent article. I’m a 2nd edition guy recently returned to the flock with 5th edition. 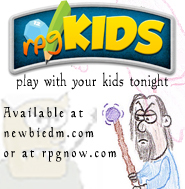 My young players know nothing of the Realms or the stuff in the novels-canon be damned, I run the realms with way less magic and my drow remain evil NPC’s, the way nature intended. Very excellent article. I’ve been playing around with conversions and the like myself, especially for Dark Sun. Like others have pointed out, 5e is very old-edition friendly so far. Great post. I have some FR 3e books and have decided to set our 5e group to the start date of 1373, which seems to coincide with alot of dragon activity and suits the Tyranny of Dragons campaign well. I agree that many of us have all the materials for a FR campaign, and its not absolutely essential for WotC to keep churning out campaign setting material for now. I would prefer they release books central to the rules set.